For Pre-K through 4th Grade—and children of all ages. Celebrate the Christmas season with the lovable and hardworking Mistletoe Mouse. After he befriends Molly Dolly, a doll who is left behind on Christmas Eve by Santa's elves because they did not have her ready in time to go on Santa's sleigh, the pair join forces and, with the help of an express reindeer, work to make terrible Christmases terrific. During the following year, Mistletoe Mouse experiences one misadventure after another as he and Molly Dolly save the show when a little girl cannot sing her solo, comfort a grandmother whose grandchildren are caught in a blizzard, and teach boys and girls who cannot afford gifts for their parents how to make something even more valuable than presents. Whether he is dangling from a tree, covered with seaweed, confronting a stranger, or scampering through a skyscraper, Mistletoe Mouse tackles every Christmastime surprise and challenge with energy and imagination. More than 30 years in the making, The Misadventures of Mistletoe Mouse is a traditional and wholesome tale that is sure to please children of all ages. An audiobook edition of The Misadventures of Mistletoe Mouse is available on BARD (Braille and Audio Reading Download, a free library service administered by the Library of Congress). Reading time: 1 hour, 32 minutes. A production of Michigan Bureau of Services for Blind Persons Braille and Talking Book Library. This is a delightful little holiday book for kids which might be read aloud as part of a tradition for a family. It is the story of Mistletoe Mouse and his friend Molly Dolly. Mistletoe Mouse meets her in Santa's workshop where she is sitting alone and sad because she wasn't chosen to go on the sleigh because she hadn't been finished yet. Her bow is untied and her shoes are across the room. Mistletoe helps her out and makes her Christmas brighter and happier. In return, she suggests that they make it their business to find folks whose Christmases are going to be sad or bad and help them out. The following chapters take these two friends to many places where they help assorted people to have a merrier Christmas. Like many books for young readers, it is a moral tale, stressing kindness, compassion, responsibility, helpfulness, problem solving and love. These morals aren't blatant, but the book resonates with their light. Anyone who reads this book will be in no doubt as to what the friends' mission is. Because this is a fantasy, one must suspend belief for the duration, but this might be an excellent topic of conversation between parents and kids around a dinner table. "Can reindeer fly thousands of miles in minutes?" All in all, I found this to be a charming Christmas book, and would recommend it highly as an addition to one's holiday library classics beside Rudolf, A Christmas Carol and A Visit From St. Nicholas. Susan Bourrie grew up in LaSalle, Illinois, where she wrote and won awards for her light verse poetry. When she moved to Midland, Michigan, she started writing for children. Her three children's narrative poems, "Mortimer J. Readabook, the Medicine Man"; "Admiral Seasalt's Waterbed"; and "When Mommy Puts Her Jeans On," were beautifully illustrated and published in Humpty Dumpty's Magazine (now Humpty Dumpty Magazine). In 1980, Ms. Bourrie managed the children's room of the Madison-Jefferson County Public Library in Indiana. She attended the First Vassar Institute of Publishing and Writing: Children's Books in the Marketplace. Her articles about Lloyd C. Douglas and William Holmes McGuffey were included in The Dictionary of Midwestern Literature in 2001. While she was completing ALA core classes in Library Studies at the University of Michigan and earning master's degrees in both Children's Literature and Library Media at Central Michigan University, Ms. Bourrie's formalist poems and song lyrics placed in writing contests. 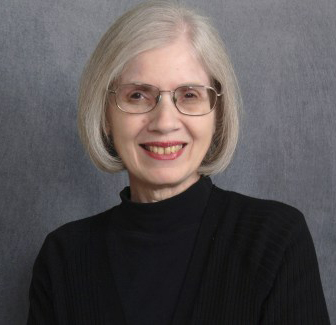 She taught children's literature and writing classes at several universities in Michigan while earning an Educational Specialist Degree in Curriculum, Teaching, and Educational Policy, with an emphasis in Literacy, at Michigan State University in 2003. Ms. Bourrie has a vision impairment and advocated for people with disabilities as a member of The University of Michigan Council for Disability Concerns and the Washtenaw County Commission for Disability Issues. She was invited to speak at The University of Michigan School of Public Health and the School of Information Studies Talking Points Project. Her blog promotes the early screening of children for potentially blinding eye diseases and teaches people with vision impairments how to live with their condition rather than merely cope with it. She currently lives in Ann Arbor, Michigan.